THE blind masseurs and the Divisoria Police Station located at the old City Amphitheater will have to be relocated as soon as the renovation of Plaza Divisoria takes off. The City Government, particularly the City Social Welfare and Development (CSWD), said it will make sure that the working blind masseurs will be relocated to sites where they can continue their job. 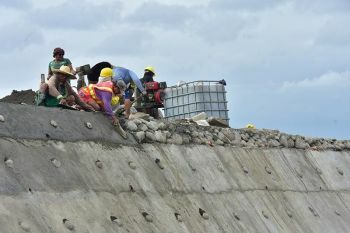 According to City Administrator Teddy Sabuga-a, talks between the city's blind association and the police is ongoing to identify areas of relocation, as the Department of Public Works and Highways (DPWH) prepares to start the construction by next month. 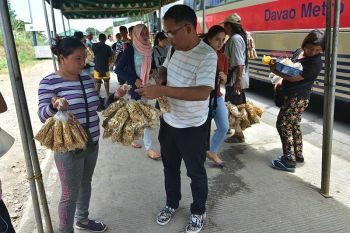 "Dili man sab maayo nga dili nato ipadayon atong project kay kinahanglan man gyud," he said. The first phase of Divisoria's rehabilitation will be the Amphitheater along Burgos Street. The new Divisoria, he adds, will be free of vehicles as the city targets it to be a "walkable area". The city government and UN Habitat’s Building Climate Resiliency through Urban Plans and Designs (BCRUPD Project- UN Habitat) are proposing Project Lunhaw". The Divisoria will be divided into five areas namely: Duaw Park, Riverside, Landside, Amphitheatre, and Plaza Divisoria, which will be developed into “climate-resilient areas”. The plan envisions to transform the remaining open spaces along City Hall riverside and downstream into modern recreational areas suitable for picnics, biking and jogging activities, or simply turn these covered areas into a river esplanade.